A two day event, Aviyantaa 2018 and 7th Anniversary of Turbine Testing Lab (TTL) has held during 28-29 November, 2018. 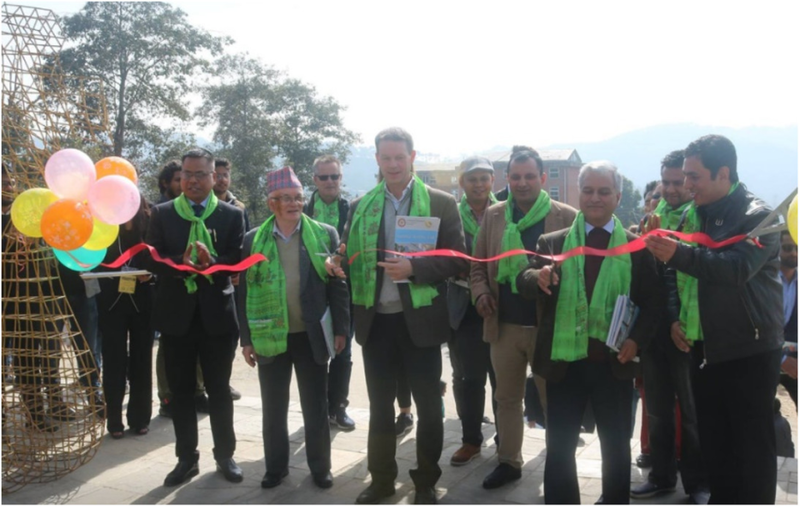 The opening ceremony was held at CV Raman Auditorium in the morning of November 28. Assoc. Prof. Daniel Tuladhar, Head of the Department started the event with a welcome speech, highlighting the milestones of the Department and Aviyantaa. Dr. Sailesh Chitrakar presented the recent and on-going activities of TTL. 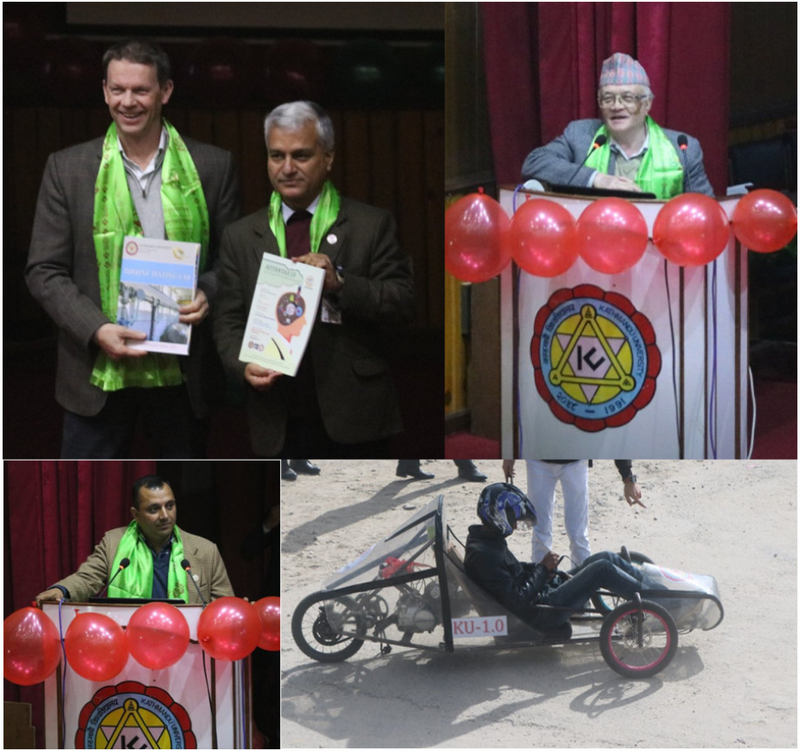 Prof. Subodh Sharma, the Registrar of KU and Prof. Ole Gunnar Dahlhaug from Norwegian University of Science and Technology provided the key-note speeches after releasing the Aviyantaa yearly issue and 7th Anniversary issue of TTL. 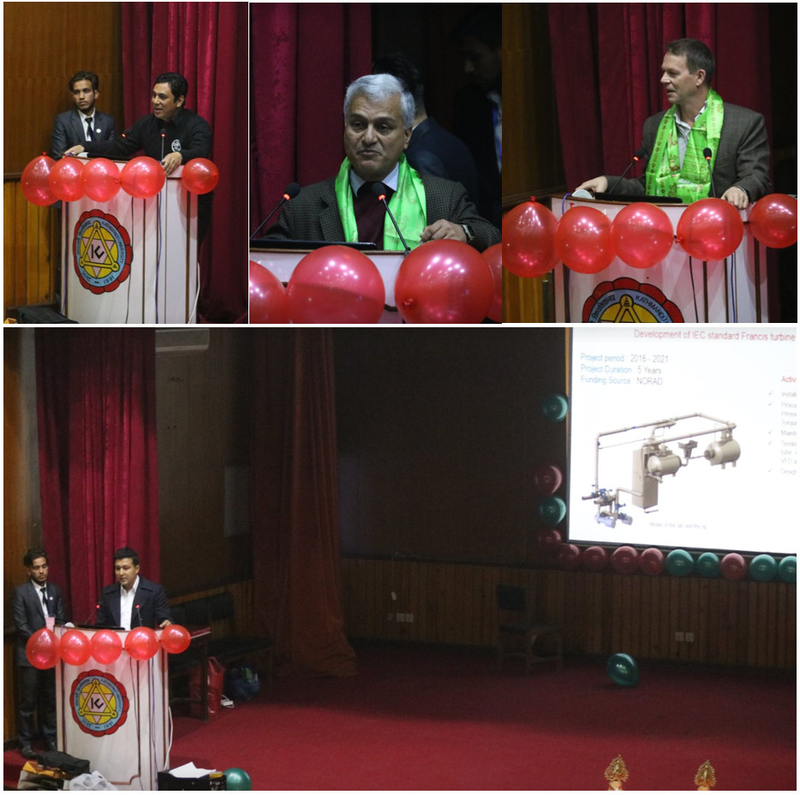 Dr. Damber Bahadur Nepali, Dean and Prof. Hari Prasad Neopane, Associate Dean of School of Engineering delivered the closing remarks. Aviyantaa event was filled with diverse activities such as exhibiting the projects of Undergraduate students of DoME, photography competition, face painting, food stalls and games.